"The Art of A Good Time"
During this weekend, you will create a bright and colorful rug to enhance your home. Your finished piece will be approximate 30" x 44" oval area rug. Registration form and class schedule click HERE. Pauline Bramer, owner and operator of Otter Creek Retreat loves Fiber Art. She has been crocheting and cross stitching for many years. She loves being an art student and exploring new arts and techniques. Her passion is wool applique and has published several of her own designs. 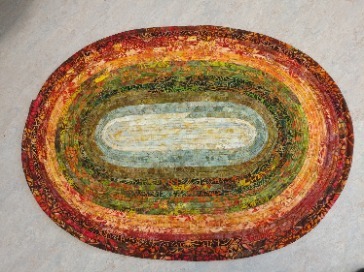 She always has a current project in the works in weaving, traditional rug hooking, and quilting. She loves hosting events for others to enjoy their love of their art and meeting new people. 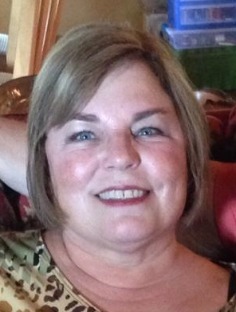 Pauline is from Louisville, Kentucky and relocated to Brandenburg in 2007 with her husband. She is a member of ATHA, Buffalo Trace Rug Hookers, and serves on the Meade County Chamber of Commerce Board, Meade County Tourism Committee.